Description: Action: DAO - Caliber: 45 ACP - Capacity: 13+1 - Finish: Black - Material: Polymer - Grips: Polymer - Sights: Fixed - Barrel Length: 4.6 - Weight: 26.28 oz. 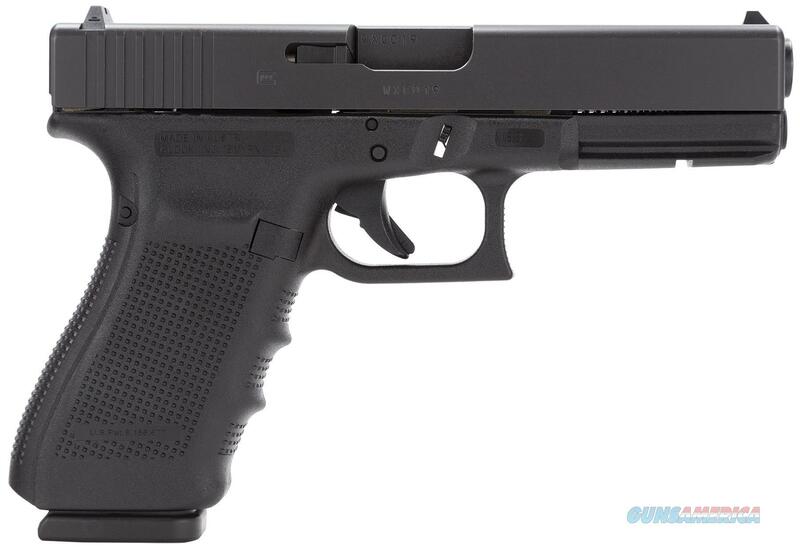 - Remarkable for its accuracy and light recoil the GLOCK 21 Gen4 delivers the legendary stopping power of the .45 Auto round with 10/13 round magazine capacity. The Modular Back Strap design on the G21 Gen4 lets you instantly customize its grip to adapt to an individual shooter's hand size. The surface of the frame employs the new scientifically designed real-world-tested Gen4 rough textured technology. Internally the new GLOCK dual recoil spring assembly substantially increases the life of the system. A reversible enlarged magazine catch changeable in seconds accommodates left or right-handed operators. The Gen4 system is the perfect complement to this iconic .45 caliber cartridge. ***Please allow up to 5 days handling time for this particular firearm.